Considering a home remodel? You’re not alone. Remodeling your space can add instant value and increase the equity without having to move to another location. While this is a great option, it’s important to consider a variety of home remodel contractors that can meet your needs. One of the most important is their knowledge and expertise in current trends. Knowing the home trends in San Diego can help you make an informed decision in choosing the right home contractors and select a style that you’re comfortable with. The McMansion trends of the 90s have finally said goodbye, ushering in a new era of smaller houses for smaller families. The name of the game here is utilizing the space effectively, with little to no space left unused. This forces home contractors to get creative with design, ensuring your space is not only stylish but functional. Would you like to speak to your stove and tell it to turn on? What used to be an afterthought is now a reality. Smart homes that turn on outside lights before you get home, get dinner started and turn on the alarm at night by telling it to are now being considered the norm, and a must-have. Charging stations built into the countertop to set your phone down while cooking or working are also hot trends in the smart home space. The objective is to make things as easy as you can while enhancing your home to support living, work, and play. Living in San Diego has its perks beautiful weather, great scenery and more. The indoor/outdoor trend where bathroom showers look like forests, or the kitchen area expands onto the patio have quickly become hot ticket items. Having the ability to enjoy eating under the stars while cooking outside, or creating spaces that have outside elements, like bamboo and other woods, coupled with stainless steel is not only trendy but lessens your overall carbon footprint. As people start retiring and moving up in age, having homes with huge staircases don’t work as well (unless you have an elevator). Silver living dwellings take this into account, providing beautiful, one-story spaces that cater to an older population. These spaces can be as modern, or as traditional as you want. Included in spacious areas and communities where the design and equipment in the home make it easier to move around and maintain a great quality of life. An accessory dwelling unit is an additional living space separate from the main residence, whether on top of a garage, a single dwelling in the backyard, or a basement apartment. It can provide additional income and is perfect for students, additional family members or those people who travel but want the experience of home. Let’s face it people are moving away from the restrictive nature of hotels when they travel, and in most cases, these types of accommodations are not as expensive. These are just a few trends to research and discuss with your home renovation contractors to create the space of your dreams. You can also remodel your spaces based on an inspiration piece, focusing on the details as intricate parts of the design. Designing a space to meet trends, while leaving certain timeless elements in place can allow you to accessorize and keep up with changing times. There’s no limit to what you can do to personalize your home remodel. 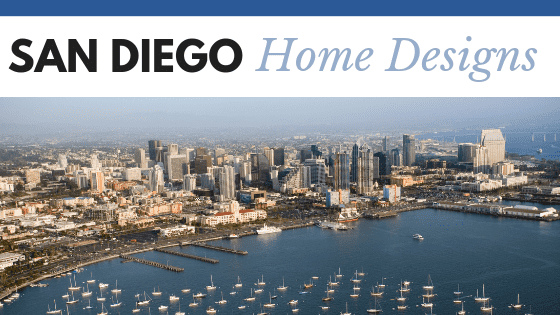 For more information on home trends in San Diego, contact the team at DM Building for a consultation today!